Here at Gold Star Services, we know your offices are a direct reflection of your business. Your customers value cleanliness. That’s why first impressions of your business is so important. We understand that your facility should be on the ready to impress guests at all times. Reception areas should always be in pristine condition; free from any dirt, grime or clutter. The carpeted areas should be vacuumed. The restrooms should be properly sanitized and smell fresh. Your first impression is a long lasting one. For 18 years, we have helped businesses promote a professional image by paying attention to every detail. A clean, well-organized environment helps businesses run smoothly. The professional cleaning team at Gold Star Services offers great value and exceptional services. Our crew is focused on providing the quality cleaning that your business deserves. Knowing that every office or facility has individual needs, Gold Star Services will customize commercial cleaning and maintenance schedules to suite your unique requirements. Whether you’re looking for daily, weekly or monthly cleaning services for your professional space, Gold Star Services will be happy to work with you to customize a schedule that works best for your customers and employees. 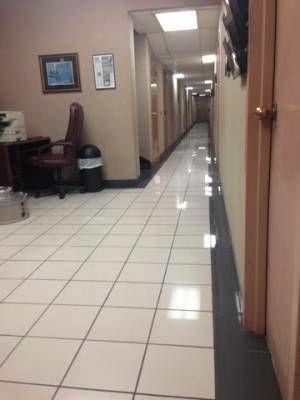 Are you looking for a professional commercial cleaning company for your business? Call Gold Star Services today for a free commercial cleaning quote!